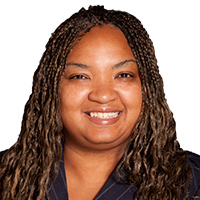 With over 20 years’ construction experience, Shayla is a seasoned professional who has worked on many large, complex projects for both government and private companies. Her strong work ethic and attention to detail have helped her to become a rising star in her company. Most recently she served as the lead accountant on the $1.5 billion LAX Midfield project, and currently heads the special projects division in her role at PCL. Shayla also was a former member of Construction Management Association of America (CMAA). Outside of work, she is an avid reader who enjoys legal thrillers, especially by favorite author, John Grisham.